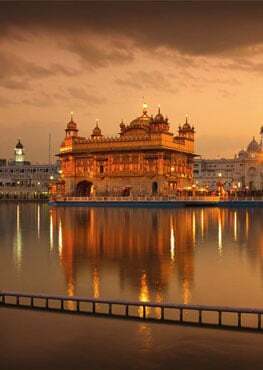 Only Guru Nanak Can Move This! "I am here at guruduara Pathar Sahib and I'm here because I'm travelling with some Sikhs. One other thing you do here besides washing your hands and feet is cover you head, and I don't actually know why we do this in the gurudwara but maybe someone can tell us in the comments. 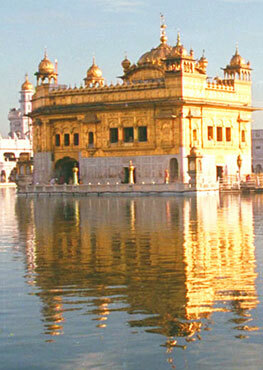 This is the place where the first Sikhs Guru, Guru Nanak Dev Ji, performed a miracle. The story is that he pushed an unmoveable rock out of the way of a river that was flowing down to a village below." The New Zealander host goes on to show and explain what langar is. I left my career and life behind in New Zealand to take you behind the scenes of incredible India. India is my passion. 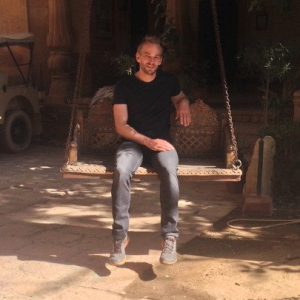 I've been obsessed with India for 15 years ever since I ate my first curry. I knew India was going to be my home one day, and now it is! MEETUP LOCATIONS & ROCK NEWS! Karl Rock is an expat currently located in New Delhi, India. He's experienced and passionate about Indian life and culture and has travelled extensively throughout India and surrounding countries. Karl's goal is to visit all 36 states & union territories in India and the countries bordering India. He's set to complete this goal in 2018 having now travelled 28 of the 36 states, Nepal, Sri Lanka, Bangladesh, & Pakistan.